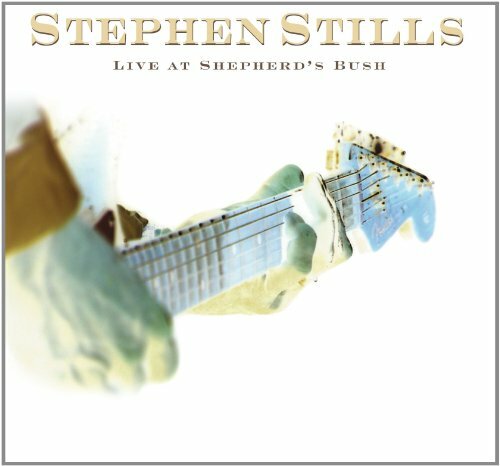 Last fall, Stills played a career-spanning concert at Shepherds Bush that was captured for LIVE AT SHEPHERD’S BUSH, a CD/DVD set. Playing both solo-acoustic and full band sets, Stills touched on nearly every facet of his prolific career: Buffalo Springfield (“Bluebird,” “For What It’s Worth,” “Rock & Roll Woman”); CSN (“Suite: Judy Blue Eyes,” “Helplessly Hoping,” “Southern Cross”); CSNY (“Woodstock,” “Carry On”); early solo (“Love The One You’re With,” “Marianne”); Manassas (“So Begins The Task,” “Isn’t It About Time”); Stills/Young (“Long May You Run”); and later solo (“Treetop Flyer,” “Wounded World”). Other highlights include covers of Bob Dylan’s “Girl From The North Country” and Tom Petty’s “The Wrong Thing To Do,” as well as a performance of “High And Dry,” a track Manassas recorded that remained unreleased until surfacing this year on MANASSAS - PIECES. If you have any questions about this product by Eyewall, contact us by completing and submitting the form below. If you are looking for a specif part number, please include it with your message.